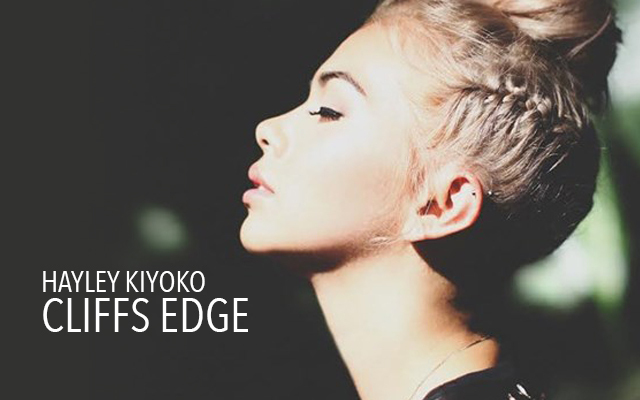 It was just a month ago that Hayley Kiyoko released her music video for the song Cliffs Edge and people are loving it. Hayley took it upon herself to direct her own music video for this song and decided to cast a female love interest rather than going down the route of many artists and using a heterosexual couple. In an interview with Teen Vogue she was asked where she found the lead love interest that she chose. It was at a party. Her counterpart in the video is a fashion blogger named Sonya. In the video they go through passionate romantic times and impulsive angry fights, showing the timeline and issues that arise in relationships. She also talked about testing the lyrics and trying to use them in many ways. This is great because it allows an audience to fit them into their personal experience and become connected to the song in relation to their life. It also turns out that her mom helped her with some of the directing and choreographing – her mother being a choreographer herself. Following the a huge hit like Girls Like Girls, which has over 16 million views, is always hard. Although Cliffs Edge sits around 3 million views, it’s newly released and a wonderful follow up to the popular video that premiered prior to it. This girl is going viral with her music video and her acting career you may have seen her in Disney’s Lemonade Mouth or the reboot of Jem and the Holograms. Her support for the LGBT community is great and she’s constantly trying to push the emotional envelope to bring those types of relationships into the mainstream and create equality in different couples. She herself identifies as bisexual. If you haven’t already seen Hayley’s video or you want to watch it again check it out below. Enjoy the awesome choreography, couple dynamic and the catchy pop tune that will be stuck in your head all day. This entry was posted in Women Crush by Cassidy. Bookmark the permalink.